On 12 October, Cairo is due to host a conference, sponsored and chaired by Egypt and Norway, of international and Arab donors for the reconstruction of Gaza. This is their ostensible aim. But the reasons that the donors cited for not fulfilling earlier pledges, made in Paris in 2007 and Sharm El-Sheikh in 2009, still exist. This means that the donors who attend the upcoming Cairo conference will probably make the same pledges they made at the two previous conferences and then once again fail to fulfil them. Meanwhile, the Palestinian people under blockade in Gaza will remain in suspense, waiting for the next aggression to be unleashed on them by the Israeli occupation, purportedly in order to eliminate the causes that the donors cite for recycling their pledges for the reconstruction of Gaza that is unlikely to happen in the foreseeable future. Fulfilment of the donors’ old/new pledges is still contingent politically on the imposition of the status quo in the West Bank on Gaza . This entails security coordination with the occupying power, the pursuit and elimination of all forms of resistance to the occupation, rendering all reconstruction activities subject to the approval of the Israeli security regime, and much more. 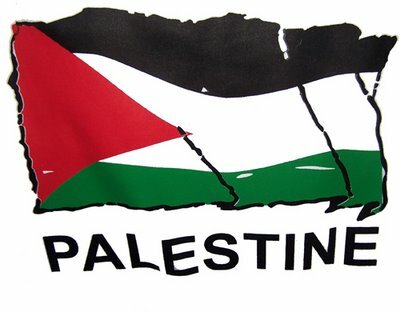 Even should these conditions be met, the donors’ fulfilment of their pledges will remain contingent on the Palestine Liberation Organisation’s (PLO) continued commitment to negotiations as its sole strategy, and to the agreements that led to the creation of the Palestinian Authority (PA). All the evidence indicates that the PLO and the PA have spearheaded the battle to impose the donors’ conditions on their behalf. Beneath the rubric of “legitimacy”, “the national project” and “the single central authority” that “alone holds the powers to make decisions on war and peace,” the PLO and PA have demonstrated that they are ready to abide by the donors’ political conditions. The irony is that Israel has never met the conditions it compelled the donors to impose, not just in order to proceed with the reconstruction of Gaza , but also on the PA in general. Israel has never renounced violence. It repeatedly wages war and unleashes its instruments of state terrorism against the Palestinians under occupation. It has flagrantly and repeatedly violated every agreement signed with the PLO. It has not even reciprocated the PLO’s recognition of Israel , nor has it officially acknowledged the Palestinians’ right to establish a Palestinian state. Currently, the occupation authorities are threatening to dissolve the Palestinian national reconciliation government if it does not assert its full authority over Gaza . The message was driven home by PA Deputy Prime Minister Mohammed Mustafa, who said that there would be no reconstruction unless his government can fully assert its control over Gaza . However, all the evidence also indicates that the resistance is there to stay in Gaza and that its powers to resist the imposition of the donors’ conditions — on it and on Gaza — are increasing. The only possible way to read all of the foregoing, and other facts, is that the reconstruction of Gaza under such conditions and circumstances will be deferred until further notice and that deferring reconstruction and linking it to a process of cloning the West Bank model in Gaza is actually a strategy that paves the way for yet another invasion of Gaza. It is also a fact that reconstruction needs in Gaza are accumulating as a result of this strategy. Destruction in Gaza did not begin with the response to action against this strategy in 2007. The reconstruction of Gaza ’s airport and seaport, for example, has been pending since the occupation destroyed these facilities in 2002. Reconstruction dues from the destruction wrought by the Israeli assaults on Gaza in 2008-2009 and 2012 are also continuing to accumulate. A recent report by the Palestinian Economic Council for Development and Reconstruction (PECDAR) estimates that it will cost around $8 billion to rebuild what was destroyed during the last Israeli attack on Gaza . The report says that this process would take five years if the occupation authority were to “fully” lift the embargo on Gaza , which is hardly likely to happen soon. Clearly, the reconstruction of Gaza requires a new Palestinian strategy, one that draws a line between the grants donors offer and their political conditions, and that rejects once and for all any Palestinian commitment to those degrading conditions that, as the years since the so-called “peace process” began have proven, have brought more destruction than construction, and have served as the chief incubator of Palestinian divisions and not brought even a minimum degree of national benefit. At the same time, any new government that emerges from a national partnership must embrace resistance against the occupation. The current national reconciliation government, with its six-month term and its principle tasks of preparing for presidential and legislative elections, is by definition an interim government and is not qualified to shoulder heavy and long-term burdens such as the reconstruction of Gaza and securing the end of the blockade. Both of these tasks are humanitarian and national goals that are higher than any political or factional disputes. Yet the Palestinian presidency’s determination to toe the line with the donors’ conditions, which make no distinction between humanitarian needs and political ends, is a strategy that fails to discriminate between national needs and factional interests. It is a strategy that protracts the humanitarian disaster in Gaza. This “dangerous humanitarian crisis” is the product of forms of collective punishment that were inflicted against the people of Gaza before the Palestinian rift and that grew worse afterwards. Any Palestinian assent to continuing to adhere to donors’ political conditions, which are responsible for perpetuating the collective punishment, is a form of Palestinian complicity in subjecting the people of Gaza to this punishment. The time has come for all Palestinian leaders to exonerate themselves from all charges of complicity in such punishment. The collective punishments that have been and continue to be visited on Gaza are not acceptable, even on the pretext of punishing Hamas. Under the Geneva Conventions and before international criminal law they constitute a war crime inflicted on the civilian inhabitants of Gaza, who are protected by international humanitarian law, at least in theory. To insist that Gaza’s reconstruction be linked to the reinstatement of the “full” authority of the Palestinian presidency and the PA over Gaza, and to the donors’ political conditions which, in fact, are the conditions of the occupying power, is merely another way to say that the reconstruction of Gaza should be linked to the imposition of Fatah’s factional agenda on Gaza. It also means that civilians in Gaza are to be collectively punished for the factional disputes that Fatah has with Hamas, in which case it becomes very difficult to avoid pointing fingers of accusation at Palestinian complicity in the ongoing collective punishment of the people of Gaza, and more difficult yet to defend any possible Palestinian contribution to the perpetration of such a war crime. As long as the current situation persists, reconstruction of Gaza will remain pending indefinitely, and the reconstruction burden will only grow. Eventually, the people of Gaza will have no alternative but to look for salvation through other means that they, alone, can control. The Palestinian presidency and its faction must decide to free themselves once and for all from their financial and political dependence on donors and the sterile “peace process” that has so far wrought only death, destruction and division. It is not too late to opt for the national alternative, which is still available given good intentions, to save the people of Gaza , national unity, the resistance, and decision-making autonomy. This alternative entails following through on implementation of the mechanisms for national reconciliation, activating the unified command framework for the PLO, agreeing on a new Palestinian strategy based on the principles of partnership and resistance, and creating a new national unity government committed to this strategy and qualified to shoulder such enormous tasks as the reconstruction of Gaza and lifting the blockade. All of the foregoing requires no more than honest introspection, the prevalence of national conscience, and political free will. This article was first published and translated from Arabic by Al-Ahram Weekly on September 19, 2014.